It's a girly theme for this class! Flowers with a golden metallic paper and the sentiment: For You. Let's get in to the details! Check your emails for pricing. $5 from every workshop fee will be donated to SOAR. As always, there will be a kit version available which makes the exact card pictured here. Don't forget the Raffle! 100% of Raffle Ticket proceeds will go to SOAR. Raffle tickets are $5.00. 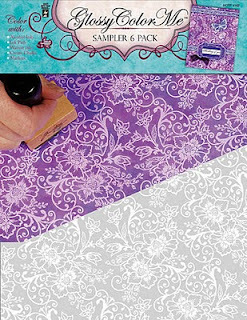 The main raffle prize is the Colour Me sample pack (in 12 x 12) made by Hot Off the Press! Click the picture for a video (the link is for the 8.5 x 11 version but I have the 12 x 12). UPDATE: My creative crew and I generated $40 to donate to the Southern Ontario Animal Rescue! That is a really great card! That is an amazing looking card. Can't wait to learn how to make it. What a pretty card! I like that folding technique better than the gate fold I've seen!